Canon 600Da, 36x lights at 30s and ISO 1600, 30x darks, WO GTF-81 APO, IDAS LPS Filter, SkyWatcher eq5 Synscan mount. Post processed in DSS, PixInsight, and Adobe Lightroom. 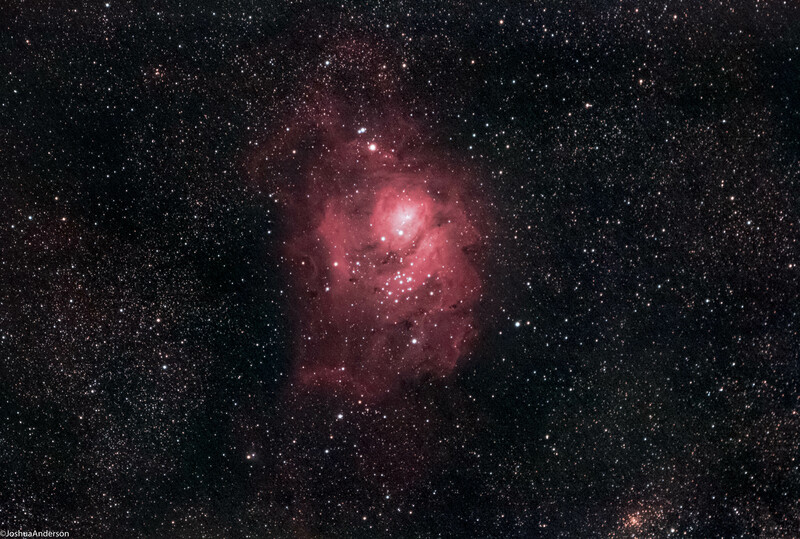 This entry was posted in Cluster/Gugus Bintang, Langit Malam, Nebula and tagged DSO, Lagoon Nebula, Messier 8, nebula. Bookmark the permalink.